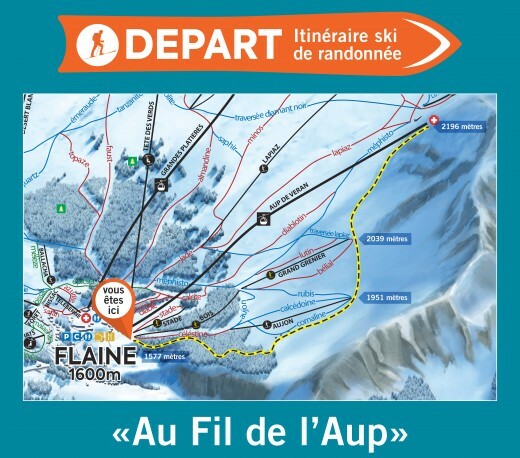 Discover the “Au Fil de l’Aup” ski-touring trail in Flaine, new for 2018/2019! - Arrival: top of the Aup de Véran gondola at 2196m. 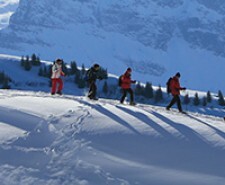 This new trail is sponsored by PLUM, an “Made in Grand Massif” manufacturer! ­ - This trail passes through a safe haven for black grouse, all signs should be obeyed and dogs are not allowed.